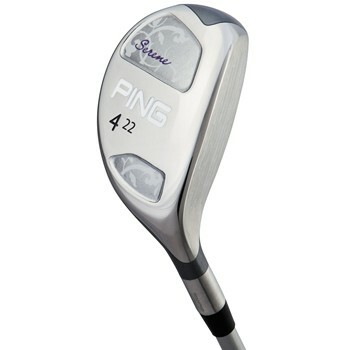 The Ping Serene Hybrid was originally part of the Serene hybrid-iron set. It perfectly blends the forgiveness of easy to hit hybrids and traditional, perimeter weighted irons with wider soles and a lower center of gravity. The hybrids create a high-launch which have an internal toe weight for additional forgiveness and produce higher launching, more accurate shots.